What are your country Christmas favorites? The Macy's holidays windows that we all know and love may have never come to be, except for the fact that R.H. Macy was friends with P.T. Barnum. And Barnum suggested to Macy that he put his mechanical toys in the windows of his store at Christmastime. When the Thanksgiving Day parade began in 1924, Macy's invested even more in their displays for the parade crowds. 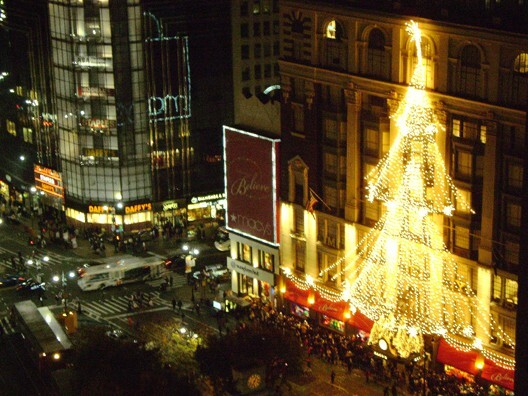 The theme of this year's display - the six windows of Macy's facing Broadway - is the making of Christmas magic. When you visit the Macy's Holiday Windows, make sure you bring your (stamped) letters to Santa to drop in the special Santa Mailbox. Macy's will donate $1 to the Make a Wish Foundation for every letter sent. 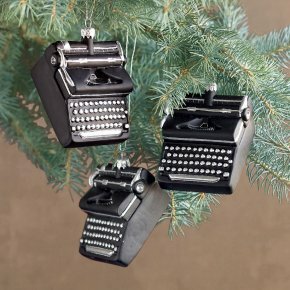 Made for the holiday tree but could also be a year-round talisman for thinkers, dreamers and key-tappers of the old-school or electronic sort. Handblown and glittered with to-the-letter detail in Poland. You've perused the many gift guides over and over - and nothing has struck you yet. And you're getting desperate. It seemed like a long time until Christmas and you woke up this morning and realized it was exactly 14 days (or really 7 if you want to be on the safe side and the gift requires shipping). The A.V. Club brings you their 3rd annual Suprisingly Specific Holiday Gift Guide. All signs point to a festive holiday season when you decorate with this "ever-green" wreath. 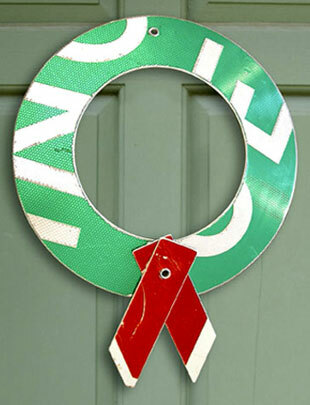 Handmade from retired aluminum traffic signs the lightweight wreath mounts securely to the door or wall and is imperious to the elements. Actual appearance will vary slightly, depending on recycled signs available. 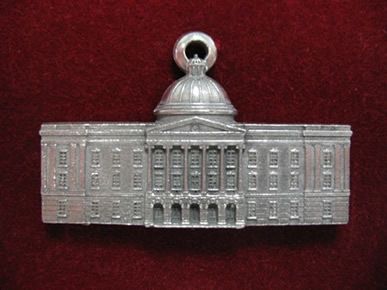 The Mississippi Heritage Trust is offering this pewter ornament of the Old State Capitol in Jackson, with proceeds to help support the organization. A brief history of the building is included with the ornament, which comes in a sealed package. Radar rounds up this year's dumbest Christmas gifts. It's getting more costly to buy true love. It would cost $78,100 to buy the 364 items mentioned in "The Twelve Days of Christmas," from a single partridge in a pear tree to the 12 drummers drumming, repeatedly on each day as the song suggests, according to the annual PNC Christmas Price Index. The 3.1% increase from last year is largely due to the significantly higher price of gold and increased compensation for minimum wage workers. No garlic or raw onions. Two words: breath mints! Don't climb down, sit on, or lean against your chimney collection box. If a child asks, "Are you really Santa Claus?" reply, "I'm Santa's helper. 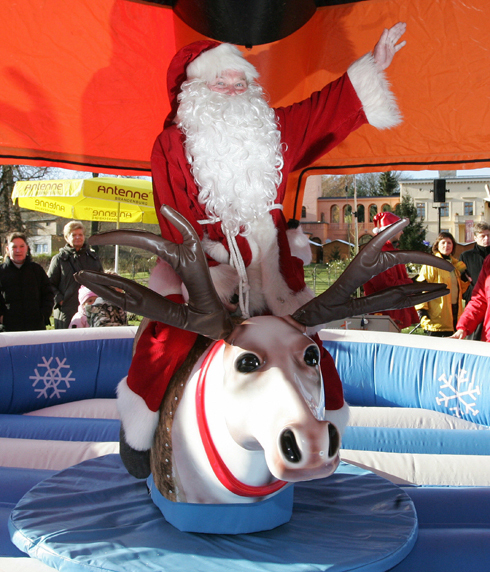 The big guy is at the North Pole getting ready for Christmas." Don't accessorize your snow-white Santa beard with crumbly potato chips or sticky candy canes. In the beard department, less is more. Do ring your bell rhythmically and say your ho-ho-ho's joyfully. Remember: You are an icon with an image to maintain.